It was a tough day at the office for the U11 boys on Saturday as they kicked off 2016 with matches against Lucan Sarsfield and Cuala, both at Tymon. 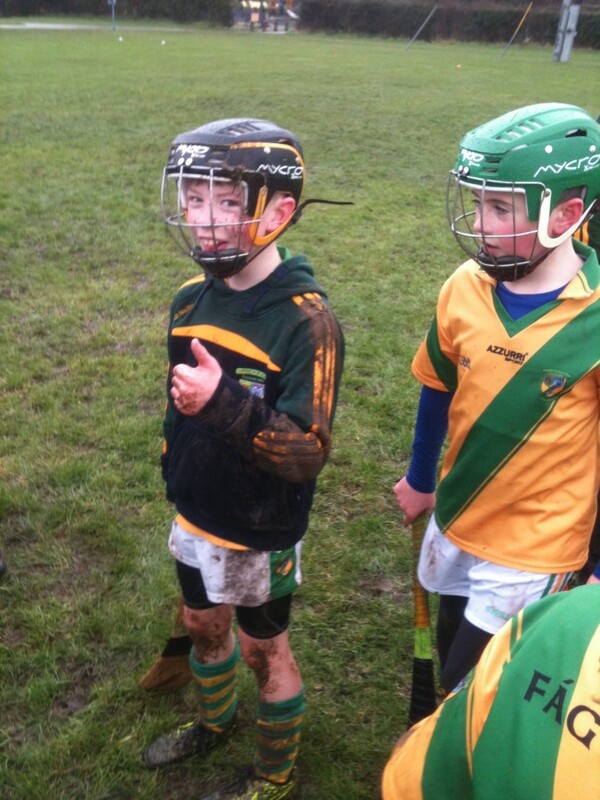 It was cold, wet and very muddy making it tough conditions for hurling, but the boys showed great enthusiasm and determination in 4 highly competitive matches. Man of the match, Aaron, pictured below, didn’t let any mud stop him on his way to 4 goals and 3 points (I think)! Well done to all the lads, and special thanks to all the parents for enduring the rain as they showed their support. It is always very much appreciated.